SOUTH EASTON, MA – 24 Services, New England’s premier disaster restoration company, announced it has hired Chris Hall as Business Development Manager. 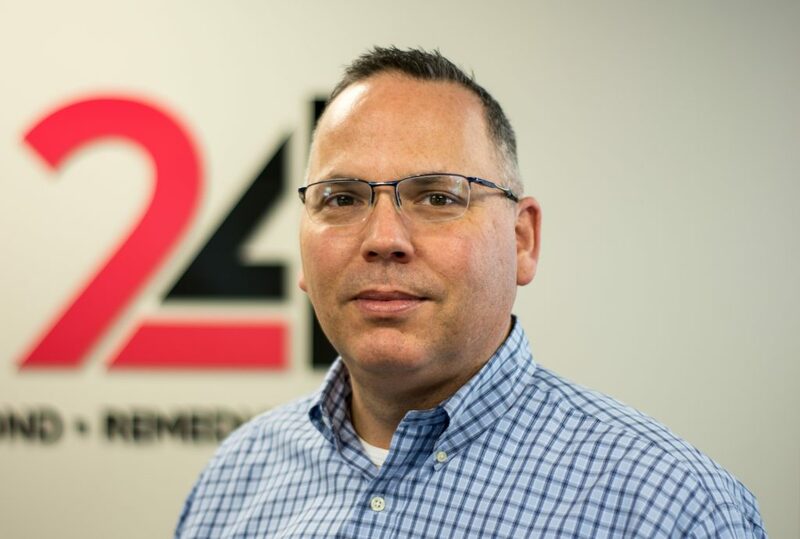 As a key member of 24’s Business Development Team, Hall will maintain close relationships with industry partners, while expanding the organization’s footprint in the marketplace. Hall is a former sports and entertainment executive, joining 24 Services from the Futures Collegiate Baseball League which he founded and served as commissioner for the past 8 years. Under his leadership, the Futures League successfully grew into one of the top collegiate baseball showcases in the country, with 150 players drafted into Major League Baseball and a collective fan attendance of over 1.8 million through 8 seasons. Hall brings more than 20 years of strategic planning, business development and leadership experience to 24 Services. Hall is an alumnus of Brandeis University. He currently resides in Chelmsford, MA with his wife and children. 24 Services is the preferred restoration services partner of commercial & residential property owners across New England. Whether you’re dealing with an emergency situation, or just simply need help implementing a sound Disaster Response Plan, we’re available to help. Contact 24 anytime, day or night for assistance.